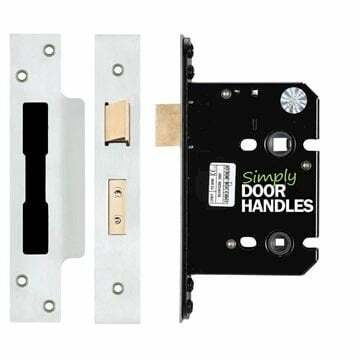 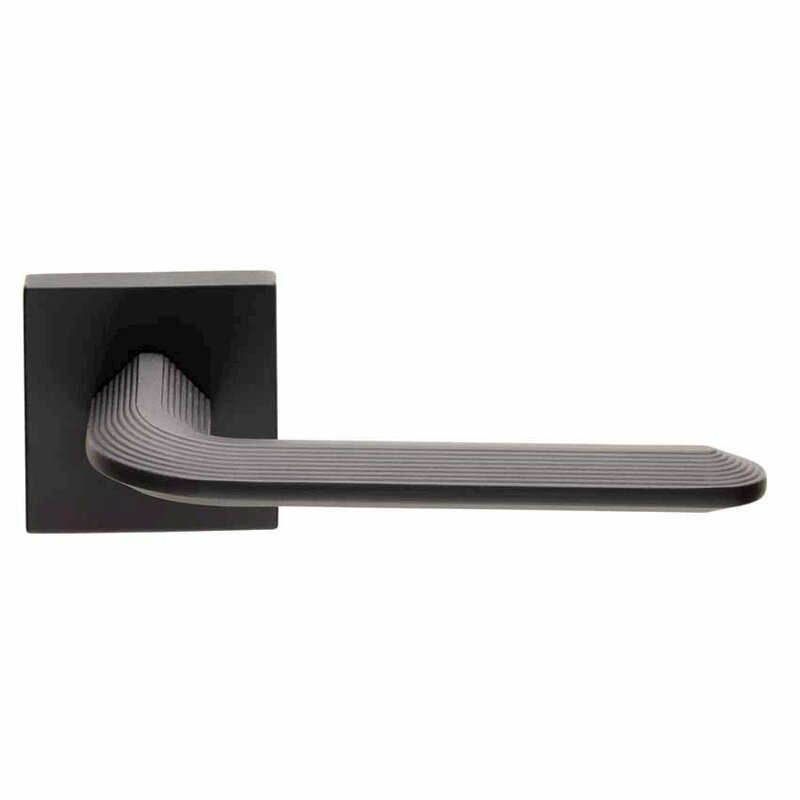 Era designer lever in matt black finish. 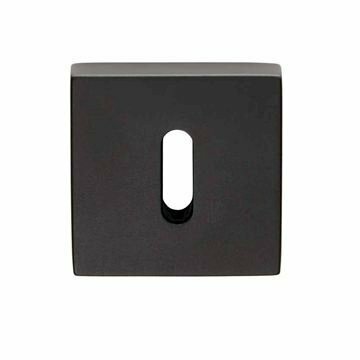 52mm w x 52mm h x 10mm deep square rose. 66.5mm projection from the door face with a 132.5mm lever length. 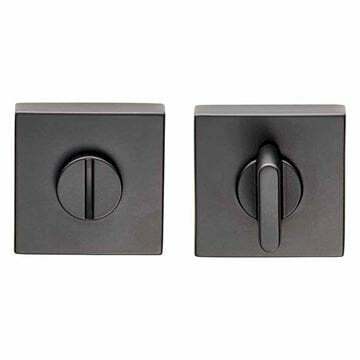 Square euro escutcheon in matt black finish. 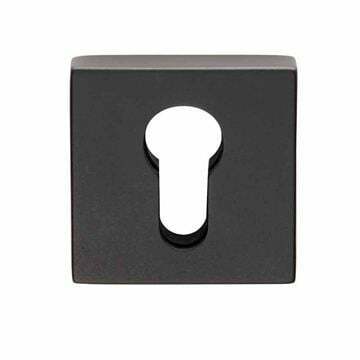 Square key lock escutcheon in matt black finish.